A creative blend of two effective approaches, mindfulness and bodywork, the "Mindfulness Massage" is a more profound experience that can help people relax more deeply and quickly. Rather than lying on the massage table with a mind full of chatter from the stresses of the day, the Mindfulness Massage uses breath work and techniques such as "body scans," where attention is brought to every part of the body and the action of the therapists’ hands. This two-way symphony directed by a therapist who understands mindfulness offers guidance on how to take the massage to a new "mindful" level. Olive oil has been used by Mediterranean cultures for thousands of years for its health and beauty benefits. 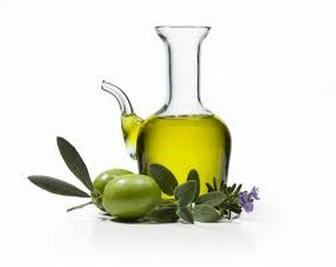 Olive oil is a common base in homemade massage oils. You can combine olive oil with many types of essential oils to create healing and aromatic massage oil. We will combine olive oil with Beautiful Lavender and Immortelle. Benefits of lavender essential oil include its ability to remove nervous tension, relieve pain, disinfect scalp and skin, enhance blood circulation and treat respiratory problems.Imortelle, Known for its anti-inflammatory, analgesic and regenerative properties, this remarkable oil is used in many healing formulas from infection and inflammation in respiratory conditions, muscle pain, arthritis to liver problems and as a detoxifier in drug withdrawal. Imortelle's ability to stimulate the production of new skin cells makes it popular in facial care for mature skin. DRY SKIN Massaging your skin daily with olive oil is an excellent way to combat dry or flaky skin caused by harsh weather. It helps to repair skin damaged from overexposure to the sun.Perfect for the summer. PAIN RELIEF Massage therapy on its own helps to relieve pain, aches and muscle spasms. But you gain additional benefits when you use olive oil in massage treatments. HEAD MASSAGE Olive oil helps to heal dry, flaky scalp conditions such as dandruff. Scalp massage with olive oil promotes healthier, shinier and more manageable hair. 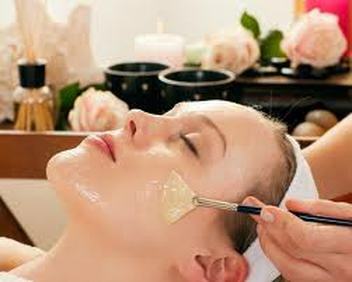 A Holistic Facial can help to improve the skin and hairs texture and appearance as the circulation is increased, giving you a healthy looking complexion. This is a very relaxing treatment as it can both stimulate and soothe the skins’ nerve endings, which can help to delay fine lines and wrinkles, and tones facial muscles. It can help to reduce tension headaches and leaves you with a feeling of well-being. Any make-up will be removed before treatment starts. The skin is then cleansed twice, and a toner or spritz will be used. An exfoliating product will be applied to help remove dead skin cells and traces of cleanser and toner. The facial massage will be performed using pure essential oils especially blended for your skins’ requirements. The massage includes the face, neck, shoulders and upper arms and is extremely relaxing. Work will be done on specific pressure points to encourage stimulation, and can help to release endorphins, which are the body's feel good hormones. While the mask is on, a scalp, shoulder, neck and ear massage will be performed to relax and soothe your mind. After the mask has been removed, a toner is applied, followed by a moisturiser, eye gel and lip balm. Aftercare advice will be given to ensure you get the best results from the treatment. Adding warm oil to the experience of a massage can be blissfully relaxing and wonderfully comforting, while it rejuvenates your mind and body. Not only does it enhance the relaxing nature, but it also aids in the healing processes. The smooth gliding motion that the oil helps to achieve, nourishes the skin and helps to dissolve accumulated toxins and stress, which promotes general good health.